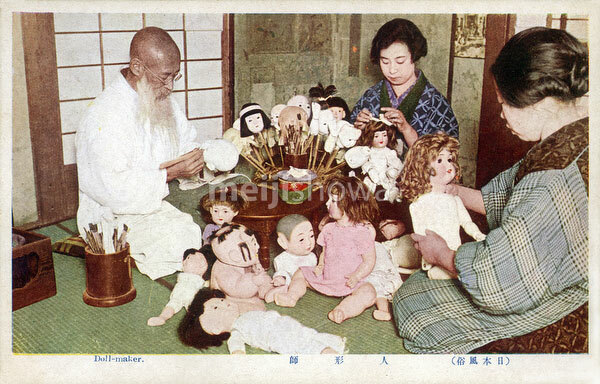 Two women and a man are making dolls in a small workshop. Interestingly, Japanese and Western style dolls are mixed together. This card is from a series called “Nihon Fuuzoku” (Japanese Customs). The printing quality is not so good, but the series gives a great view on daily life in Japan during the early Showa Period (1925-1989).